Connect and organize. We give you the edge. 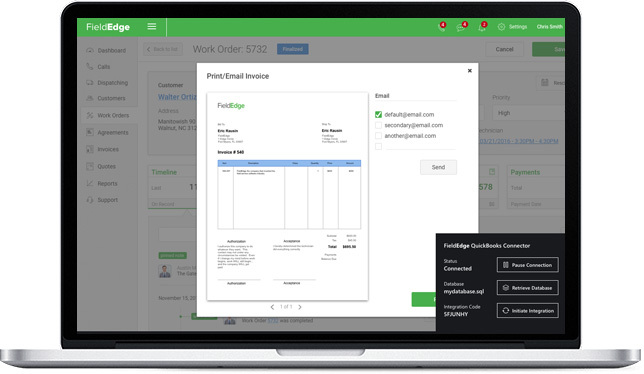 FieldEdge is the ultimate service software for contractors that connects every part of your business on one simple yet powerful system. Accessible from anywhere and updated in real-time, FieldEdge gives everyone on your team an extra edge, from the office to the field. 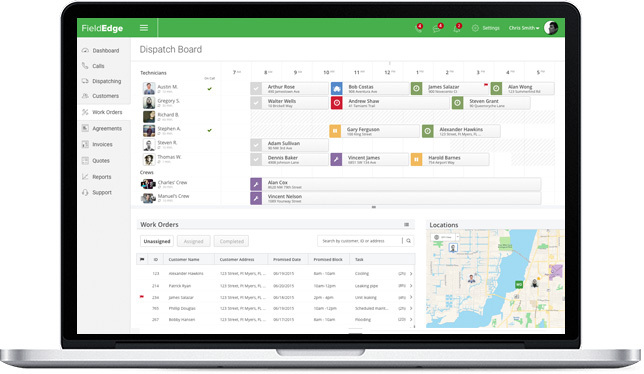 On a single screen, see all your work orders: assigned, unassigned and completed. Never worry about assigning the wrong tech – assign work orders to techs based on skill set and availability. Creating life-long customers begins with providing great, reliable service. We give you the tools to provide a VIP experience every time. 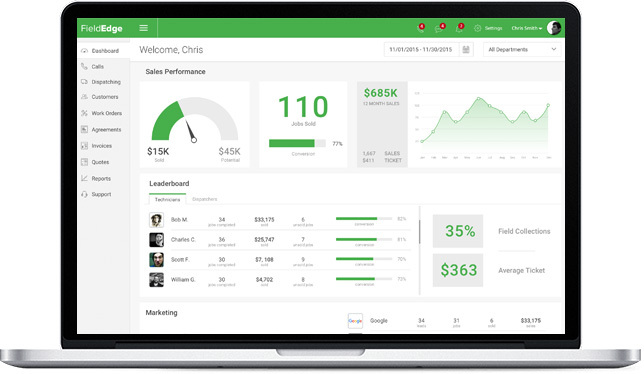 Dashboards show you a snapshot of your business, accessible from anywhere. QuickBooks integration. No more errors, no more double-entry. 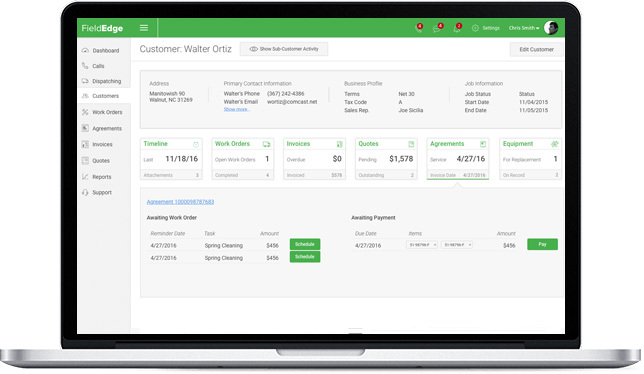 Every transaction, whether it’s in the field or in the office, flows right into QuickBooks. QuickBooks integration is a challenge for other systems, but we’ve perfected it. Every transaction, whether in the field or in the office, flows right into QuickBooks. No more double-entry of customer information or paperwork. No more accounting mistakes. Save your office staff at least 20 hours a week on data entry alone. Never leave money on the table again. Arm your techs with price books that help them sell additional equipment and services. Increase income on each job and provide better service. Tired of leaving money on the table? 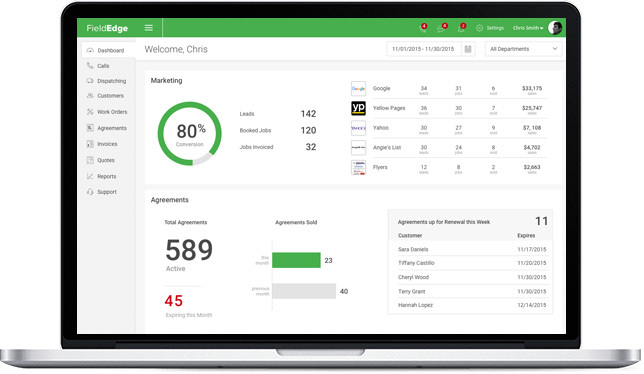 FieldEdge gives you the tools to reduce unpaid invoices, get paid faster, and identify your top performers. Rev up sales and service. 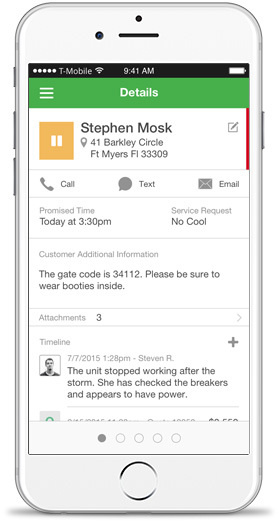 On each tech’s mobile phone is an arsenal of FieldEdge tools that save time, impress customers and boost income on every work order. 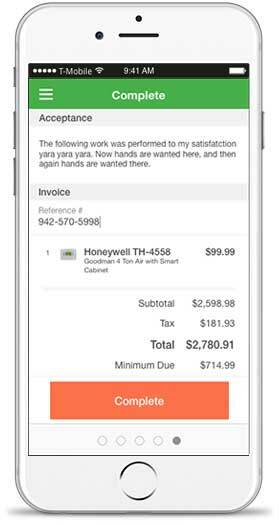 With one tap, the invoice goes straight to QuickBooks. 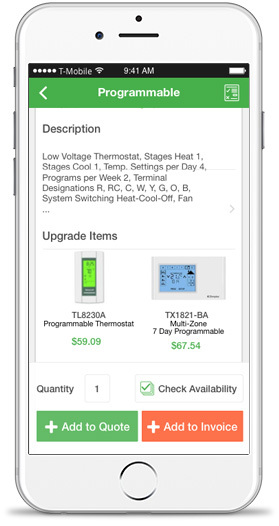 Your tech sees the customer’s full history with make, model and age of equipment, detailed job notes, as well as what needs to get done. Sell more add-ons and service agreements. Running a field service company rarely means clocking in and out around normal business hours. 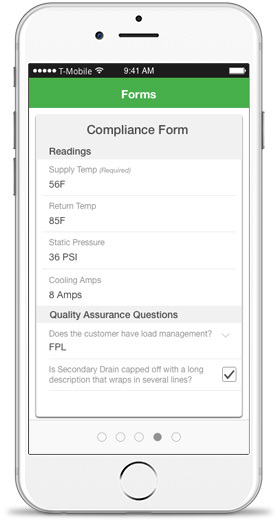 FieldEdge Mobile makes it easy to keep your business running while you’re on-the-go.